These easy and delicious Southern-style green beans are flavored with salt pork or a small ham hock. Put the diced salt pork or the ham hock in a saucepan and add water to cover. Cover and cook for 5 to 10 minutes. 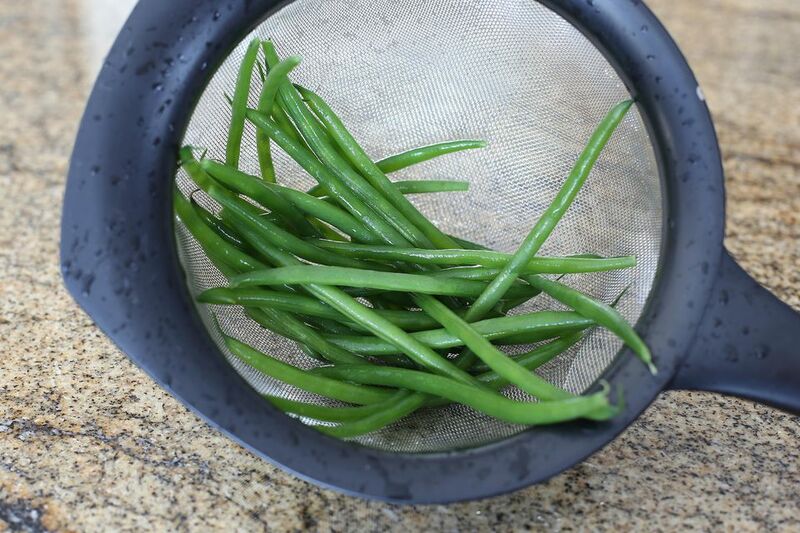 Add green beans to the saucepan, along with the salt and sugar; cover and cook beans over medium heat for about 30 to 45 minutes, or until green beans are very tender. If using ham hock, remove the meat from the bone, dice, and return to the green beans.